Follow the adventures of the Torchlighters Heroes of the Faith and see how God works through those who dedicate their lives to serving him. 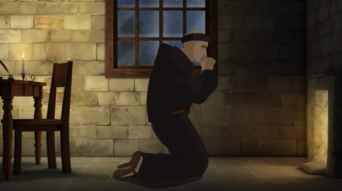 In a world ruled by a corrupt and greedy church, all it took was one little nail, one well-written parchment, and one sharp-tongued monk to turn everything upside down. 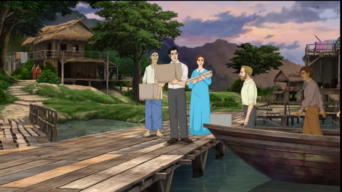 Follow the extraordinary adventures of Adoniram Judson and his wife Ann as they work to reach souls in Burma, a land where professing Christ would mean certain death. 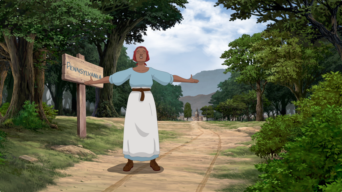 Young Harriet Tubman prayed ceaselessly that she and her family would be set free from the oppression of slavery. Want to own your own copy of the Torchlighters? 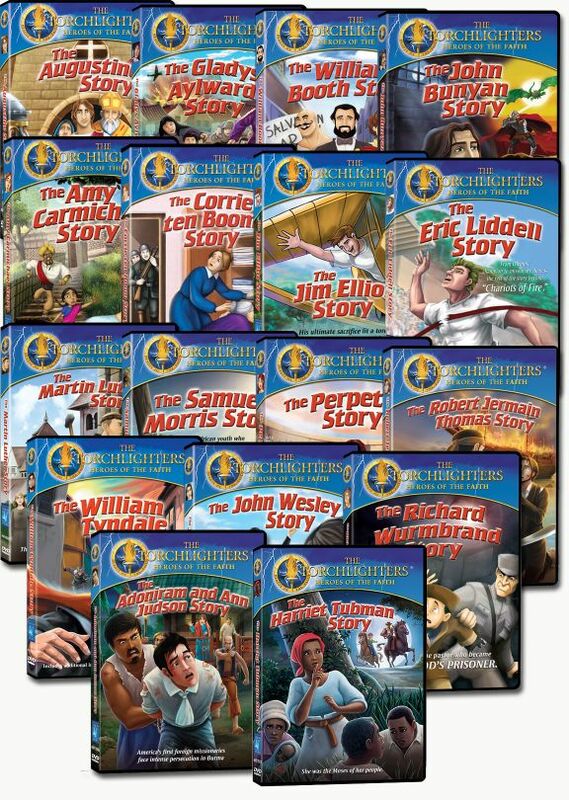 Simply head on over to the Christian History Institute store to shop our selection of Torchlighter DVDs. From individual DVDs to discounted collections, you’re sure to find something that children will love. Send your comments and reviews of Torchlighters with the form below.